Bob Kerslake, writing in the Guardian, has declared that the Trade Union Bill exposes this Government's 'worryingly authoritarian streak' - damning words indeed from Kerslake, who has held several high profile local and civil service positions and is currently chair at Peabody housing. "Taken with the other measures being put forward by the government – curtailing the powers of the lords, watering down the the Freedom of Information Act, cutting the so-called “short money” to support the opposition parties – they demonstrate a worryingly authoritarian streak in this government that is not comfortable with scrutiny and challenge." Kerslake rightly points out that the current government is ruling on a mandate much smaller than the one being imposed on public sector unions for industrial action. 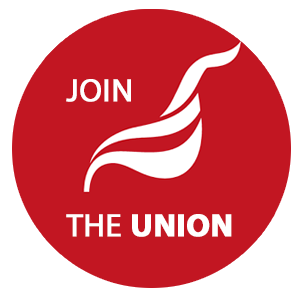 The Bill will require such unions to achieve a 'yes' vote by 40% of all members in order for it to comply with the new legislation, yet only 25% of the eligible electorate voted for the Tories in 2015. They nonetheless feel that they have a mandate to introduce swingeing cuts and serious restrictions on civil liberties. The article shows that many of the new measures being proposed by government are causing unease in quarters that would normally have leant it ideological support. Kerslake himself has had a long and high profile career of service in local authorities and central government, including as chief executive of Sheffield City Council, chief executive of the Homes and Communities Agency, Head of the Home Civil Service, and Permanent Secrtary at the Department for Communities and Local Government. In October 2015, the House of Lords - normally another base of unquestioning government support - forced Osborne to rethink his plans for in-work tax credit cuts. The Lords should similarly reject the authoritarian measures that Kerslake highlights, demonstrating that they at least understand the importance of scrutiny and challenge for a healthy democracy. The full Guardian article can be read here.